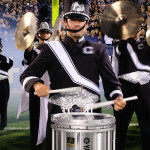 Any student attending The University of Connecticut is eligible to join the drumline and front ensemble. Membership is obtained through a simple audition. 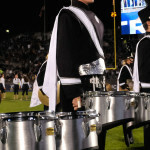 Of more than 330 members of the UCMB, only about one sixth major in music. 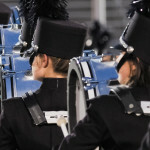 Almost every college and major course of study within the University is represented throughout the band. In addition, the overall grade point average of band members is significantly above the University average. Band members are almost always the students who want to excel in their classes – many are enrolled in various UConn Honors programs. 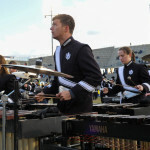 The UCMB helps students develop a work ethic which carries over to their studies and eventually their careers. The percussion section holds several mini camps throughout the summer to learn new material and prepare for the upcoming season. These camps run from 9:00 a.m to 5:00 p.m. If you are unable to attend any of these camps, please contact us ASAP. The band also holds a preseason camp the week before the fall semester begins. This gives band members an added bonus of moving in with ease before the hectic move-in day on campus. All members of the percussion section will move in for preseason on Saturday, August 17. During the fall term, rehearsals are scheduled Tuesday and Thursday from 4:00-6:00 p.m., and Friday from 3:35-6:00 p.m. 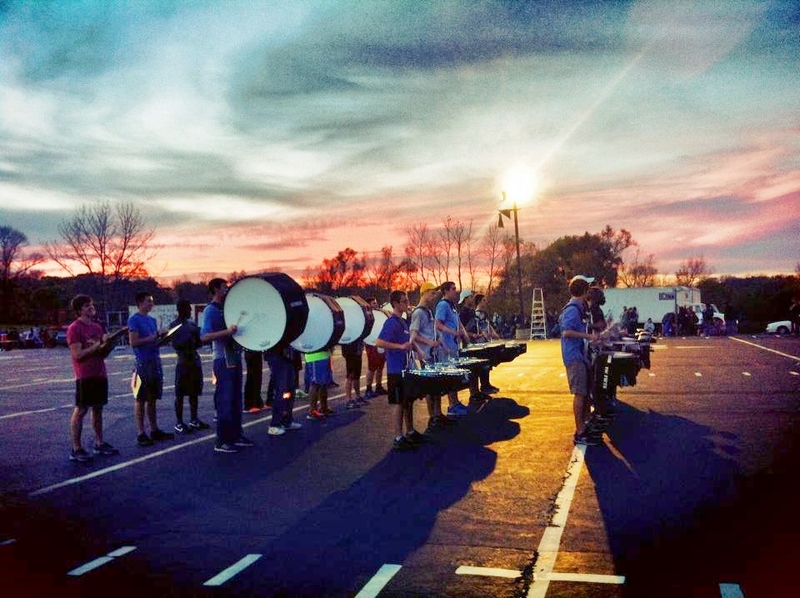 The percussion section has an additional rehearsal Tuesday night from 7:00-9:00 p.m. Members of the percussion section will receive 1 academic course credit for this extra rehearsal. Submit an interest form so we can send you more information about membership and the upcoming season.